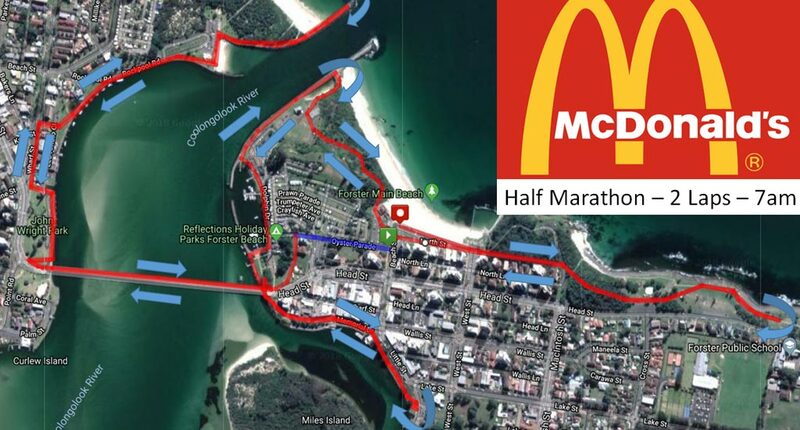 With the ocean and lake beside you at all times you will make your way over the Forster/Tuncurry bridge, covering both towns breakwall paths and trails making up 99% of the flat course, with only one slight hill. 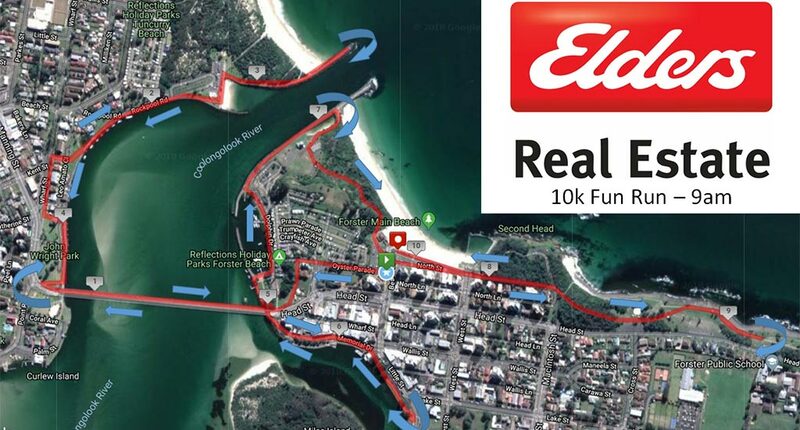 Return past boat ramp, stay on the road do not veer right back toward the path by the water which was the way you came, you must continue to the bridge, head back over the bridge to Tuncurry and repeat the second lap. 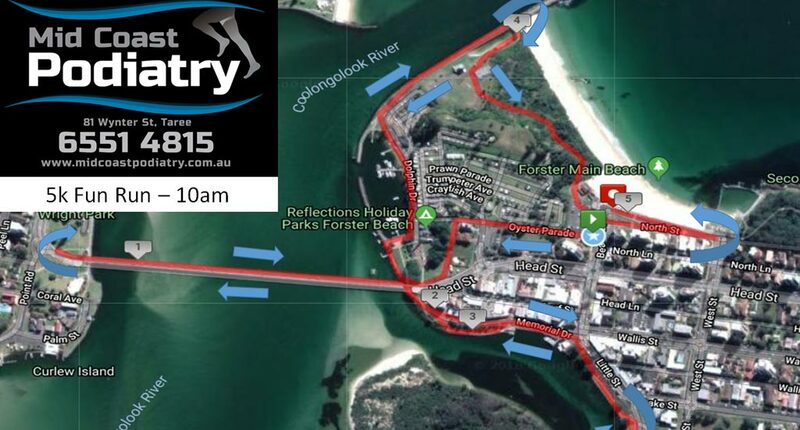 Once through to the other side exit the bridge and turn right to head towards the Forster Breakwall. Click here to buy a FRF t-shirt!